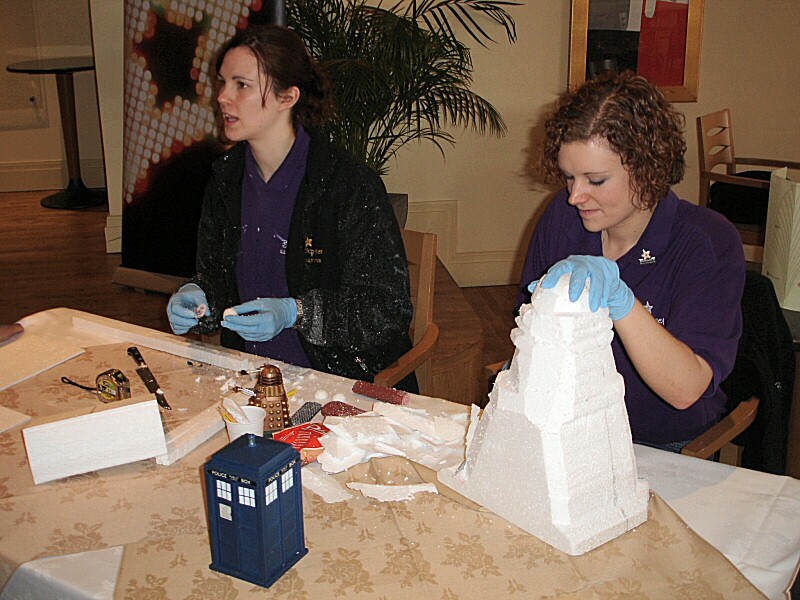 These small maquettes of the Tardis and a Dalek were created as part of a carving demonstration. 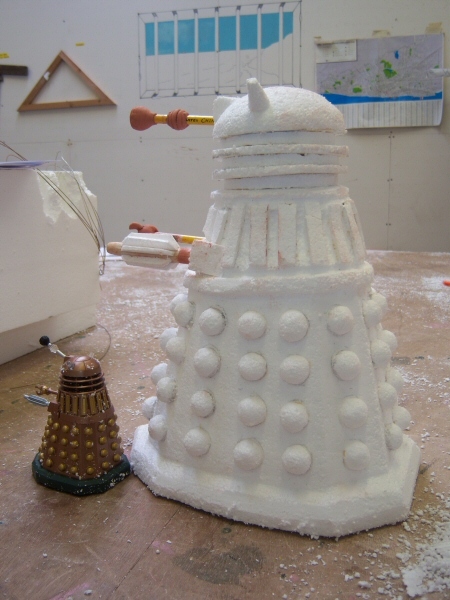 The Dalek was made using polystyrene, plasticine and a few pencils and the Dr Who toys shown were used to get the right scale of the models. 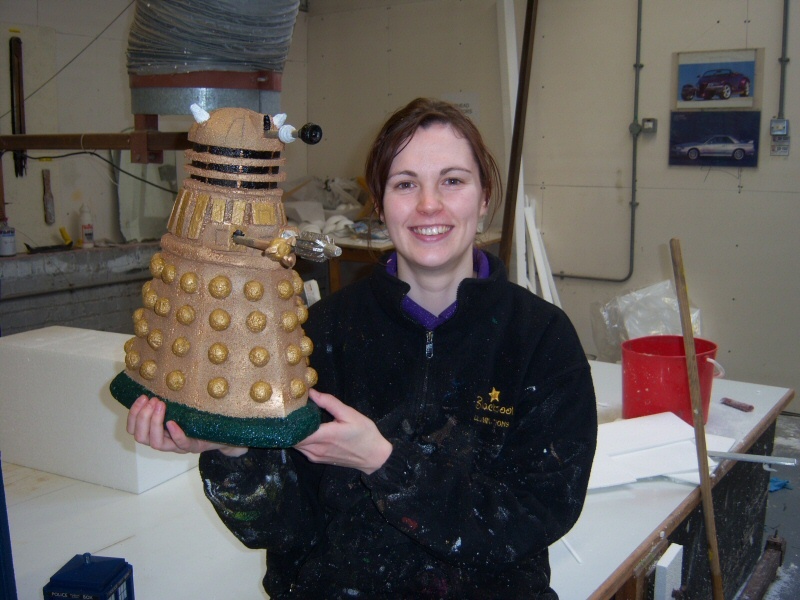 Dr Who Maquettes 2007 is a feature within Blackpool Illuminations, the greatest free light show on earth, where Sarah Myerscough (me) works as an artist. The Illuminations are an annual event that takes place from late August / early September to November, along six miles of the promenade in Blackpool, a seaside resort in the North West of England. 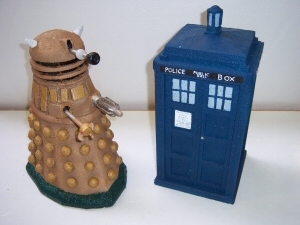 Doctor Who, the Doctor Who Logo and the TARDIS name and image are Copyright © by the British Broadcasting Corporation (BBC) 1963, 2004. 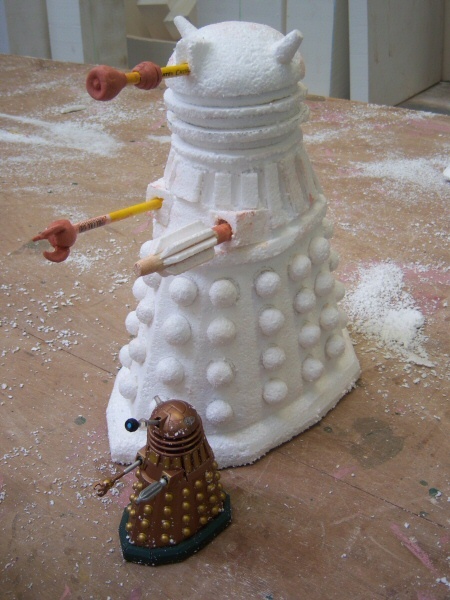 The Dalek name and image Copyright © Terry Nation 1963. 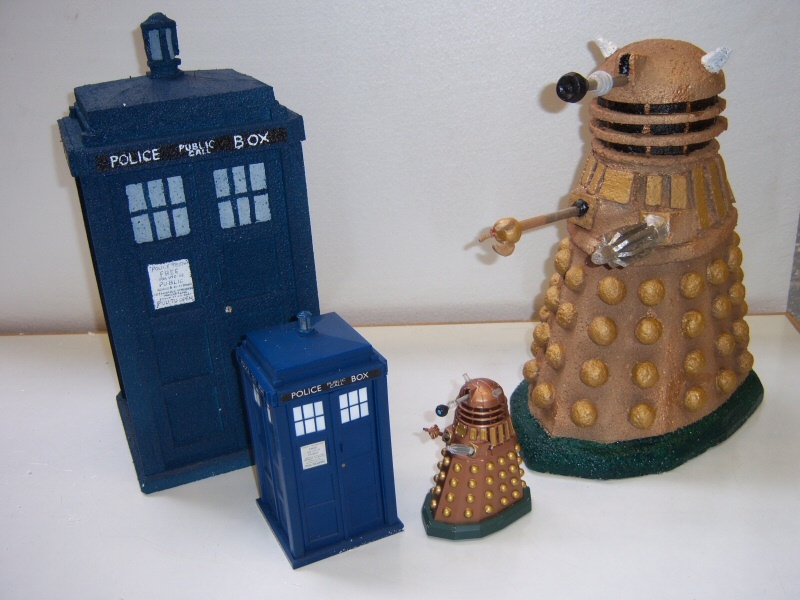 No infringement on any of these Copyrights (or any Doctor Who BBC Licence Holder Copyright) is either implied or intended.